Favorite Disney Theme Park – Epcot!!! Epcot – Drinking around the world!! Favorite Disney Snack – Dole Whip! Favorite Time of year to go to Disney – Christmas, It’s so magical! I was always one of those people who didn’t understand an adult’s fascination with Disney… until I experienced it firsthand! Ever since my first Disney experience I have been hooked on everything Disney!!! It’s honestly the BEST place on the planet! Now, I want to make all YOUR dreams come true! What’s better than going yourself, you ask? Seeing the joy in people’s faces as you help them make their Disney fantasy a reality! Let me book your trip today! 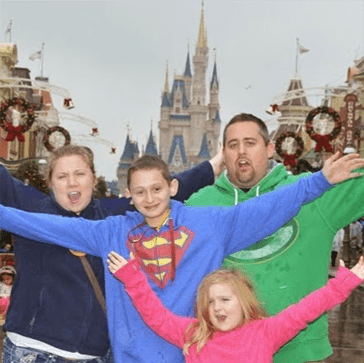 Our goal at Mouse Magic Travel is to help you plan a personalized Disney vacation that is just right for you and your family. Mouse Magic Travel is happy to help answer any questions you have; from assisting you select a package that suits your family’s needs to helping with even the smallest details – daily planning, reviewing rides & attractions, and even making all of your dining reservations! © 2019 Mouse Magic Travel | All Rights Reserved.